All Neavitt homes currently listed for sale in Neavitt as of 04/23/2019 are shown below. You can change the search criteria at any time by pressing the 'Change Search' button below. If you have any questions or you would like more information about any Neavitt homes for sale or other Neavitt real estate, please contact us and one of our knowledgeable Neavitt REALTORS® would be pleased to assist you. "Clear Waters at Turkey Neck Point is located just 10 miles (<15 minutes) outside historic St. Michaels, MD. 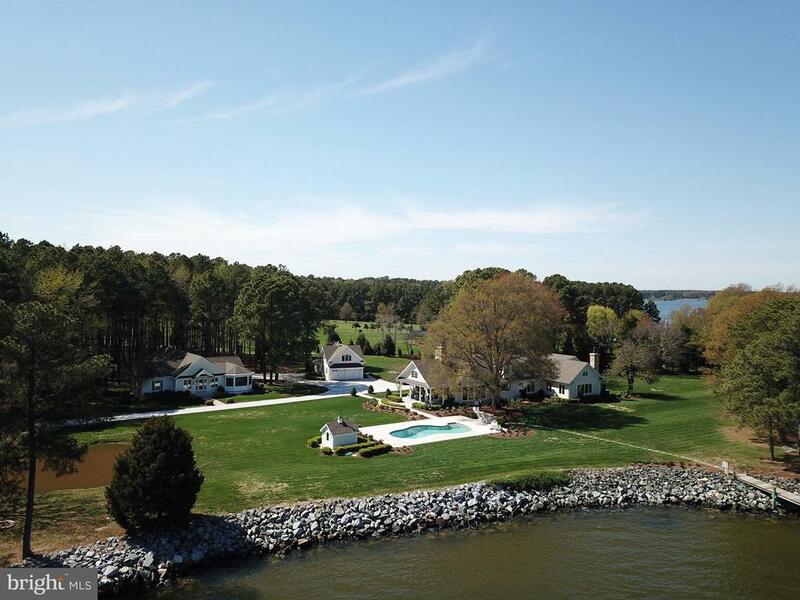 Sited on one of Talbot County's premier points of land, the 36+ acre property is improved by a classic 7,400 sq.ft. home, designed by Christine Dayton, AIA. Constructed by some of the most-talented craftsmen in the area, the highly detailed home features 10' ceilings, exquisite crown moldings, paneled library, 3 fireplaces, top-of-the-line Marvin windows and several large porches and balconies, all of which provide incredible water views. In fact, every room in the house provides views of Harris Creek, the Choptank River and in the distance, Chesapeake Bay. The exposure is ideal...South and West. 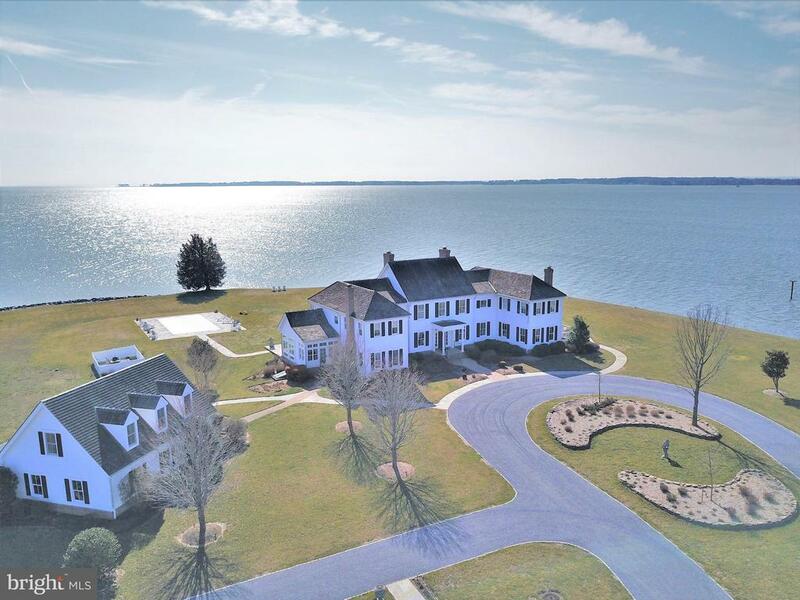 If there is a home in Talbot County which provides bigger/better water views and sunsets over the water, we have not seen it!Additional features of this fabulous 4 (or 5) bedroom, 5.5 bath home include a gourmet kitchen, climate controlled wine closet and efficient, multi-zoned geo-thermal HVAC. Additional improvements include: A charming 2-bedroom guest cottage (overlooking the water, of course); waterside swimming pool (heated); fenced flower/vegetable garden with an English greenhouse; state-of the-art solar electric system (provides nearly all the annual electric! ); paved 1/2 mile driveway; detached 3-car garage with a large climate-controlled space above (currently a media/exercise room) and a recent new heavy-duty 150' dock w/2 boat lifts (#8000 & #10,000 lifts). The water depth at the dock is approx. 4' at low tide, 5.5' on an average high tide. This is a prime boating location. St. Michaels, Oxford, Annapolis and some of the best fishing grounds on the Bay are within easy reach by boat." "Stunning newly-constructed turnkey Compound: Main House, Guest House, Carriage House and Pool House. Featuring a freshwater pond, 750' rip rap shoreline, and a spectacular wide water view in a park-like setting with lovely landscaping. Gorgeous sunrises and southerly breezes while at the pool or 125' dock with 3 power lifts. Relaxed sophistication, exceptional Amish craftsmanship, and the Eastern shore lifestyle." 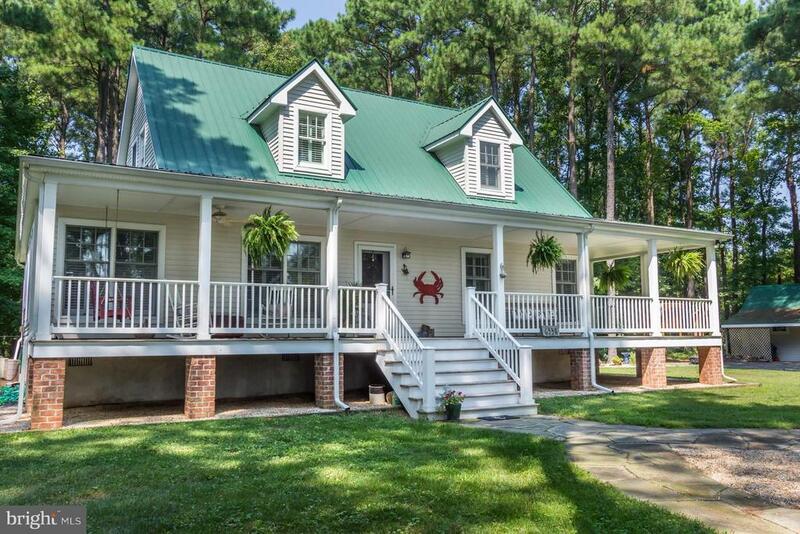 "Low country style home on 2 acres surrounded by tall pines. Classic design, living room with soaring ceiling, double-sided gas fireplace, kitchen with breakfast bar and dining area with built-in seating. 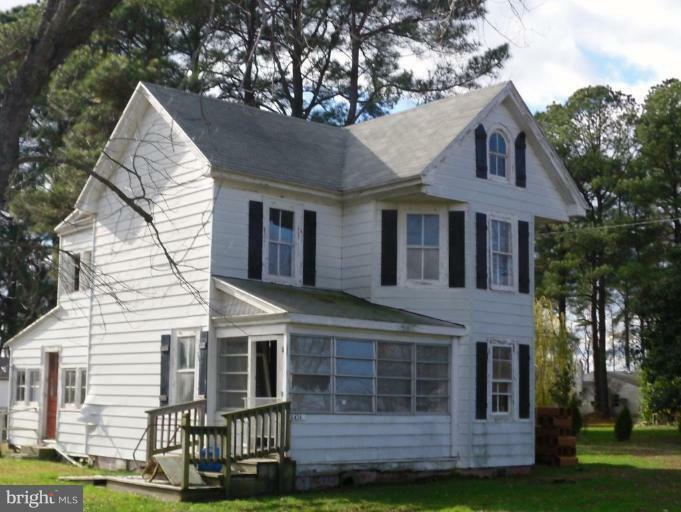 Great porches, detached shed/studio & loft on upper level can be additional office. Close to park & publice landing." "Corner lot with existing shell, driveway and some landscaping, which can be renovated or removed. From the second floor you can see Balls Creek without the concern of flooding. Just down the street there is a community park and a great public boat ramp. Possible owner financing is available. 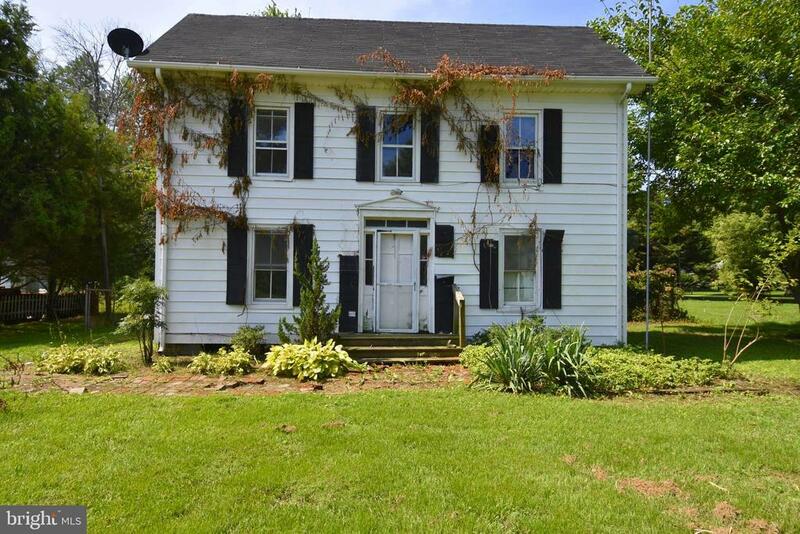 Offered below assessed value." "Center hall colonial located in the charming village of Neavitt, 2 bedrooms and 1 bath, water views from upstairs windows. Property is a shell, rehab potential or build new on the existing footprint!"